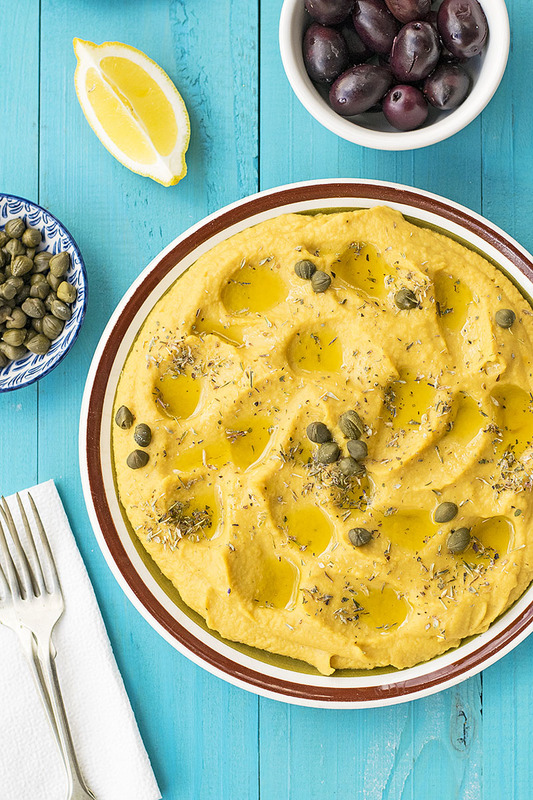 This Greek Fava is made with yellow split pea and vegetable puree. It’s an extra healthy, vegan recipe usually served as an appetizer. 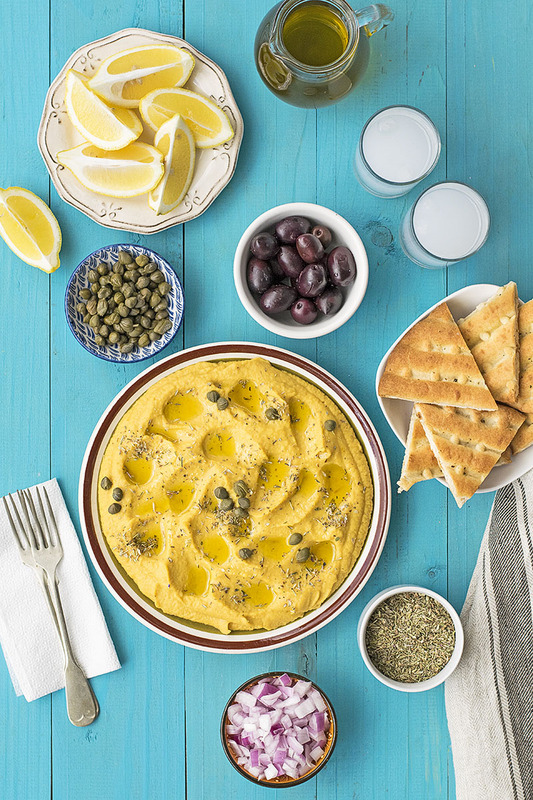 The most common recipe for Greek fava is made from yellow split peas and maybe a carrot. 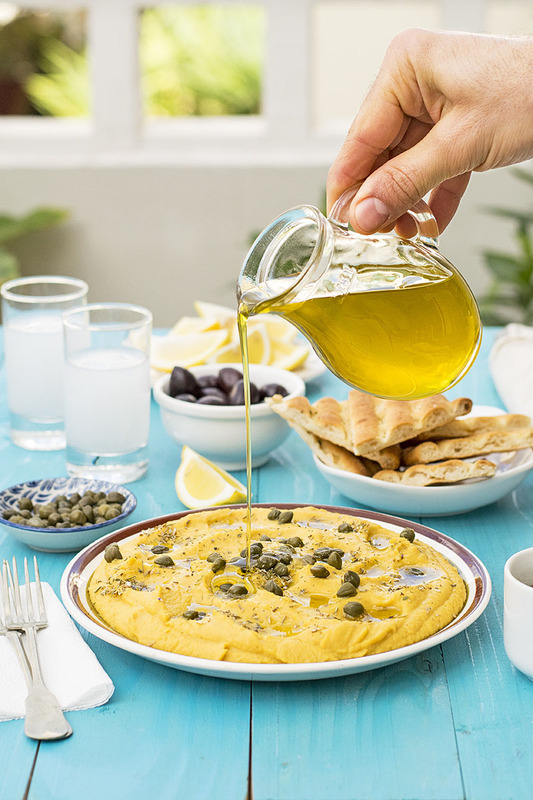 Here, some extra ingredients add depth and complexity and totally transform the flavor profile of the yellow split peas making them extra tasty, especially when you serve the puree with lots of freshly squeezed lemon juice, extra virgin olive oil, some capers and Kalamata olives! 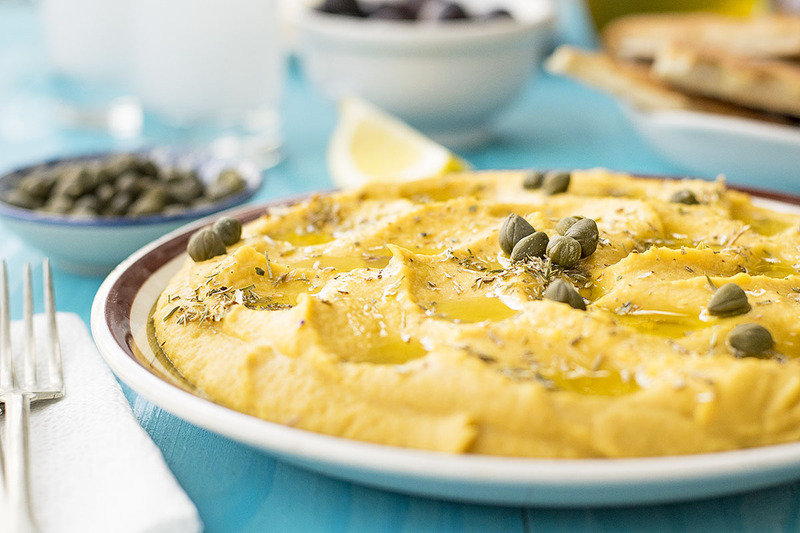 But in case you want a recipe closer to the one they serve in almost every little Greek tavern, try this Yellow split pea puree. You can serve this with sautéed mushrooms and caramelized onions like the recipe suggests or with a simple drizzle of olive oil and some finely chopped red onion if you want to stay true to the Greek tradition. Rinse split peas very well under running water using a large sieve. This will prevent any gunk from forming at the surface of the pot during cooking. Smoked paprika gives an extra dimension to this dish, so try not to omit it! 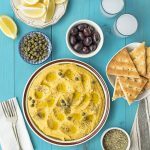 Real Greek fava is made from a variety of yellow split peas called lathouri (Lathyrus Clymenum) which is very very tasty, so if you can find some you must definitely use that! However, other split pea varieties will give good results, but with differences in flavor. 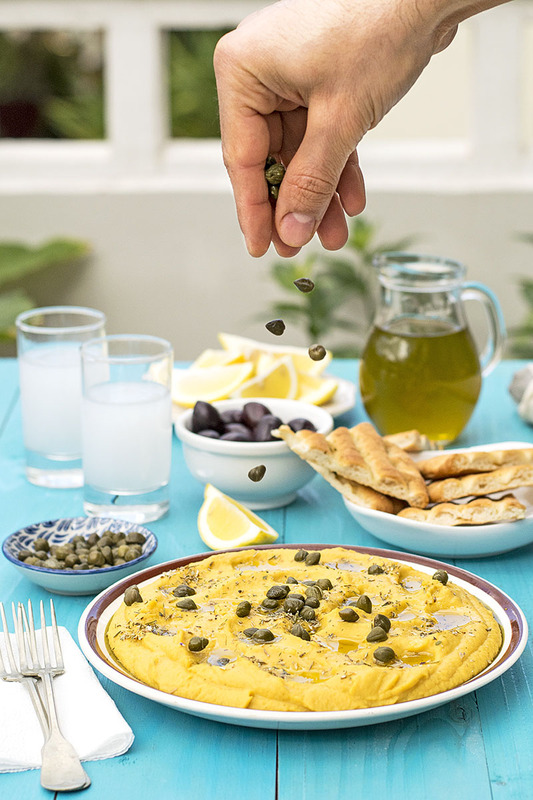 Greek Fava is usually served as a side or meze. But it also makes a really nice lunch! Optional: pita bread, chopped red onion, and ouzo! Transfer the split peas to a sieve and rinse very well under running water for 2-3 minutes. Drain well. In a medium-sized pot add the olive oil, the onion, the leek, and the carrot and cook at medium/high temperature until the vegetables are soft, about 5 minutes. Add the split peas, the pepper, the thyme, the smoked paprika, the cumin, the cloves, and the bay leaf and cook for 3-4 minutes. Add the 2 cups of water, the sugar, and the parsley and bring to a boil. Reduce heat to low, cover the pot and simmer for about 50 minutes or until split peas are very soft and tender, almost mushy. Check the pot from time to time and if necessary add enough water to almost cover the peas. When the split peas are ready, discard the parsley, the bay leaf, and the cloves and puree with an immersion blender (or in a food processor), until smooth. Taste and add salt to your preference. 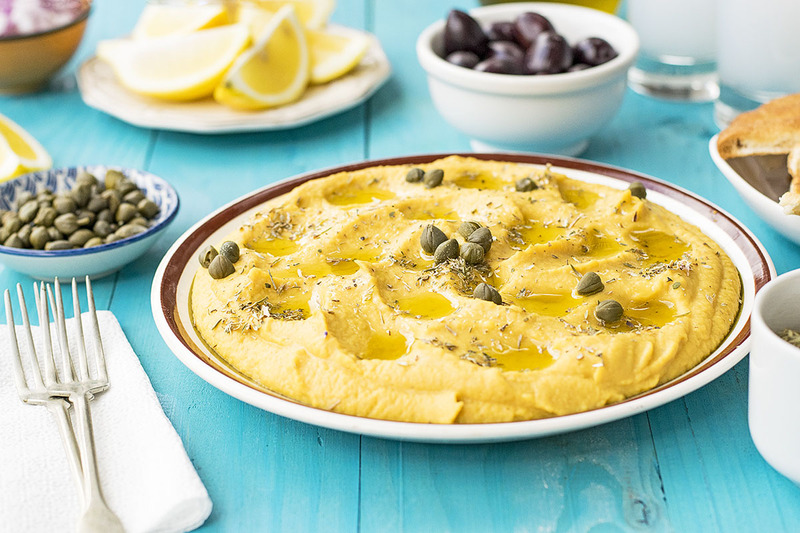 Serve the fava on a large plate, sprinkle with thyme or savory, some capers, olives, lots of olive oil and freshly squeezed lemon juice. Eat! this sounds like such a delicious appetizer! my family usually has unhealthy apps, so this would be good to introduce some balance. and i love that picture of you sprinkling the capers on top!